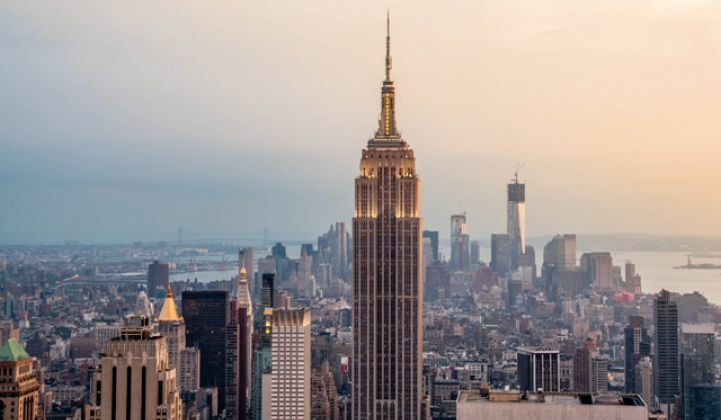 New York Grapples With the Best Way to Promote Storage: Mandates or Market Reforms? New York state is in the midst of a philosophical debate over how best to promote storage. The state's efforts to reform the electricity market have focused heavily on renewables, and the storage industry has been waiting for a big development of its own. The legislature took matters into its own hands last month and passed a bill requiring the Public Service Commission to pick a storage target by 2018 that utilities need to fulfill by 2030. The Senate and the Assembly each approved their measures unanimously. Governor Andrew Cuomo has not yet signed that legislation, which cleared both chambers last month. However, a statewide procurement target potentially runs counter to the market-driven approach Governor Cuomo has championed for transitioning the utility business model and promoting distributed resources. "Really, what we're trying to do is turn solar and turn storage deployment into a business opportunity for the utility," New York State Energy Czar Richard Kauffman told GTM in an interview at Intersolar North America. "If it becomes only a series of mandates and regulations, it's not going to ever be responsive enough." Kauffman did not comment on whether or not his boss will sign the bill. Rather, he outlined some philosophical challenges to integrating a top-down mandate into the broader Reforming the Energy Vision project. New York REV is meant to address both the financial and energy inefficiency of the current electrical grid. That requires changing incentive structures that reward utilities for large capital improvements but result in most of the customer's bill going to pass-through costs that the utility doesn't earn money on. REV's innovation is to compensate the utility with a cut of the savings that arise from leveraging cheaper distributed energy assets instead of expensive, old-school grid upgrades. In turn, that requires a more sophisticated metric for determining the value of those assets at different parts of the grid. "When I talk about building out a network, building out the grid of the future, it's hard for me to see how it can be centrally planned," Kauffman said. "When you think about other networks that have been created around us, where technology has changed dramatically, it's been done because the providers have been able to be responsive to markets." The internet, for instance, grew out of early Department of Defense research funding, he noted. Government investment kept the project going before it was ready for private investment, but the internet really took off once it grew into a platform for market actors to compete and deliver services. That raises the question of how much government assistance is appropriate to get a new technology off the ground, and at what point that assistance starts to stifle the growth of a proper market. In the case of energy storage, the industry has barely gotten off the ground, especially on the East Coast. California finalized a 1.3-gigawatt energy storage procurement mandate in 2013 to kick off the industry there and assist in the state's clean energy expansion goals. Since then, a steady drumbeat of storage mandate legislation has emerged from Oregon, Massachusetts, Nevada and New York. Supporters say these targets send a market signal to invest in storage and get utilities familiar with the new technology, ultimately bringing down the costs of deployment. Slapping a mandate on top of outdated market structures might boost storage deployment in the short term. But it may not fundamentally solve the underlying challenges. "The easy way to do things is to have mandates; the harder but more impactful way is to challenge the industry and the utilities to think about different approaches," Kauffman said. "If there's some last bit that you need because the numbers don't quite work yet, then we can layer in a mandate or layer in some financial support as a stopgap." Cuomo famously adopted a mandate for renewables procurement -- 50 percent by 2030. However, the administration did not lead with that mandate, Kauffman said; instead, that number followed from the REV stakeholder proceeding. The 50-by-30 requirement acts as a market signal, providing assurance to market participants that the time is right to invest in renewable energy. As Kauffman describes it, a good regulatory requirement serves as a bridge, not an ultimate destination. The outcome for the legislature's storage mandate may depend on where it falls relative to that fine line. "This is not a religious debate," Kauffman said. "It's really that we're trying to establish a set of principles and recognize that it's where we want to be headed, and if we need to have mandates or particular support programs to get us to that future, then we're open to that." The text of the bill calls for more than just a numerical target. It also asks the PSC to determine "programs that will enable the state to meet such a target." Those programs are required to take into account deferred transmission, distribution and capacity costs, the minimization of peak load, and storage sited in front of and behind the meter. Beyond that, the legislature leaves the details up to the PSC, the same entity conducting the ongoing REV process. With the PSC holding the reins, it just might be possible to determine a storage program that fits organically within the overall reform and dodges the pitfalls of central planning.